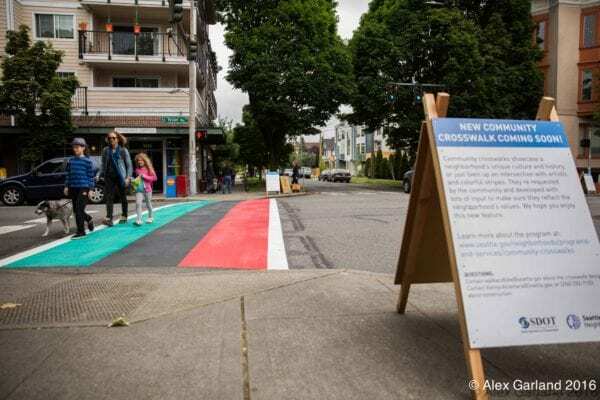 This summer, the Melrose Promenade is receiving its first two Community Crosswalks at Pike and Pine Streets, but before it does, we need our neighbors to weigh in on which designs they like best. We are forming a Selection Committee to oversee the selection of the artist, and the selection of the final design, and we invite you to join us. If you are unable to serve on the Selection Committee but would still like to review and weigh in on the design concepts, we will be posting them on our website and Facebook page, and hosting a community open house to review them, and to meet with us and the artist. If you are interested in participating in the Melrose Promenade Community Crosswalk Selection Committee, please email us at melrosepromenade@gmail.com.